Product prices and availability are accurate as of 2019-04-20 19:18:18 EDT and are subject to change. Any price and availability information displayed on http://www.amazon.com/ at the time of purchase will apply to the purchase of this product. 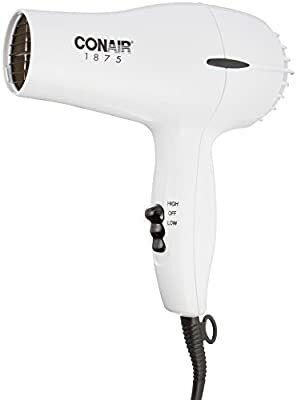 Temperature Control Low -- Delicate, thin, easy- to-straighten hair Low - - Average-to-thick or treated hair High -- Thick or wavy hair Hard-to-straighten hair DRYING BASICS 1. Shampoo and condition hair with the products of your choice. Rinse thoroughly. Towel dry hair to remove excess moisture. Section hair. Using the dryer along with your styling brush, direct hot air through a section of hair at a time. 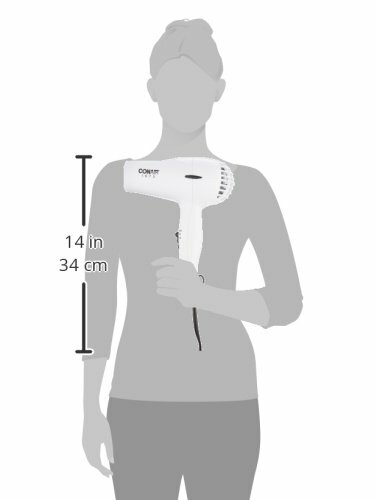 Move dryer steadily across each section so that the hot air passes through hair. Direct air flow at hair, not scalp.2. Keep dryer’s air intake vents unobstructed and free from hair while drying. 3. To avoid over drying, do not concentrate heat on any one section for any extended length of time. Keep dryer moving as you style. 4. For quick touch ups between shampoos, dampen hair with a mist of water before styling with the dryer. 5. When using your dryer to create curls and waves, dry hair almost completely on a warmer temperature setting, then finish styling with cool shot feature to close hair shaft and lock style in place.